The coin belong to the Personalities series. 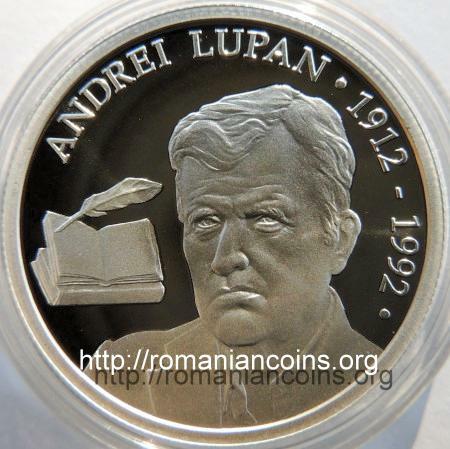 Andrei Lupan was born in 1912 in the village of Mihuleni in the county of Orhei, Romania (today in the rayon of Şoldăneşti in the Republic of Moldavia). He attended agricultural, vinicultural and agronomical studies. He debuted in 1932 with poem Biografie [Biography], published in Adevărul literar şi artistic [Literary and Artistical Truth] (suplement of newspaper Adevărul [Truth], published at Bucharest). Since 1933 he became member of the Romanian Communist Party, an illegal party at the time, then mostly with non-Romanian nationals as members. He was among the few members of Romanian ethnicity. After WW2 he stayed in the newly created Moldavian Socialist Soviet Republic. There he published numerous poetry volumes and assumed leading positions inside the Writers' Union. He played an important role in protecting the national language from denationalizing = Russification abuses during the times of Stalin and Khrushchev. He struggled for having the works of the classics printed and for the establishment of the Alley of the Classics in Chişinău. He stood out as poetry translator. Several timers he was deputy in the Supreme Soviet of the MSSR, of USSR also, and was decorated with several Soviet orders. After the national rebirth in the 80's and 90's, he was blamed for his pro-Soviet activity. Denationalization of the Romanians in the USSR occupied territories as result of the Second World War. 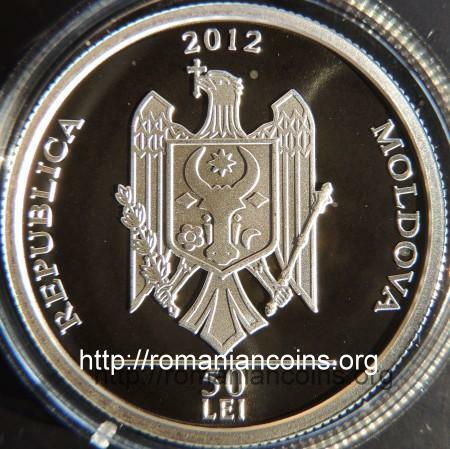 Soviet ideology of "Moldovenism"
and as a consequence a future distinct from the one of the Romanian people. The Romanian people would have generally inhabited the space of the western Moldavia, of Walachia and Transylvania (as such: the territory of the Romanian People's Republic of the time) and in addition, as a historical and political concession, the northern half of Bucovina around the city of Cernăuţi, as well belonging to historical Moldavia, also occupied by Soviet Russia (in 1940, for the first time in history). This ideology justified the new Soviet (Russian) borders with Romania anticipated from 1939 by the Ribbentrop-Molotov pact, as well known as the Hitler-Stalin pact, as follows. The new borders were not a result of an invasion planned by Stalin in accord with Hitler but a historical reparation in which the forces of the good (that is the Russian people and its other brother peoples) had liberated from the forces of evil (that is the Romanian people having the king, the the bourgeoisie and the landholders and exponents) an oppressed people (that is the Moldavian people). The Moldavian people, generously liberated by the Soviet Union in 1940, would have expressed the free and spontaneous will to join the Russian people inside the Soviet Union, as a form of political expression of the "Moldovenism". The definition of the claimed scientific shape of an ideologically imposed conclusion concerning the existence of a Moldavian people, distinct and apart from the Romanian people, was trusted for elaboration to Soviet institutions led by "scientists" formed in the between wars Soviet Ukraine, namely inside the Moldavian Soviet Autonomous Socialist Republic with the capital city at Balta, as the Institutul de istorie, limbă şi literatură al Filialei moldoveneşti a Academiei de Ştiinţe a URSS [Institute for history, language and literature of the Moldavian Branch of the Science Academy of USSR]. - elimination from school studies and generally from culture of the Romanian cult literature (with minor exceptions). The director of the Insitute for history, language and literature of the Moldavian Branch of the Science Academy of USSR, I. D. Ceban, gave in 1951 the following definition "the Moldavian language of the Soviet nation, which rapidly developed after the October revolution [Bolshevik revolution], as a continuation of the language of the past times, is the language of the Moldavian people from Prut over beyond Nistru, the language of the Moldavian Soviet Socialist Republic"; the definition appeared in the report "Despre starea actuală a elaborării ştiinţifice a limbii moldoveneşti şi a istoriei ei" [About the actual state of scientific elaboration of the Moldavian language and of its history] [1, p. 45]. In regards of lexicon, the language had to be pruned of "West European loanwords". <<Why using "şomaj", "definiţie", "tentacul", "alianţă", "celulă", "premisă", "ordin", "sentinţă", "interogatoriu" and other West European words, questioned I. D. Ceban again, when closer and more easily understandable would be the Russian words: "bezrabotiţă", "opredelenie", "şciupalţe", "soiuz", "kletkă","predposîlkă", "prigovor", "dopros", "prikaz" etc. ?>> [1, p.50]. Same <<I. D. Ceban [...] asked that the word order inside the sentence to be identical to the one in the Russian, thus insisting on ordering "Ce tu faci?" instead of "Ce faci tu?" [What you do? instead of What do you?]. I. D. Ceban pleaded for the mechanical transfer of morphological particularities of the Russian language over the "Moldavian language">> [1, p.55]. In the effort of defining the classical literature, the partizans of the Soviet ideology were facing an impasse. Engaged to create a Soviet identity to the "Moldavian", these were both delaying and hesitating to name who exactly were the classics of the said language and literature of the Moldavian, since any nomination would have lead to consecrated writers of the Romanian literature. Delaying such clarifications was to be preferred, in the mean time the attention being directed to folk literature as a reference and linguistic benchmark for the new language. The designation of the classics in MSSR and the subsequent publication of the works thereof was a cultural struggle against a totalitarian system. The Basarabian Romanians aiming at the recovery of national values adopted a tactics of "small steps" and of fight from inside the Orwellian system who had enrolled as well Moldavian Romanians, mainly from the left bank of River Nistru. 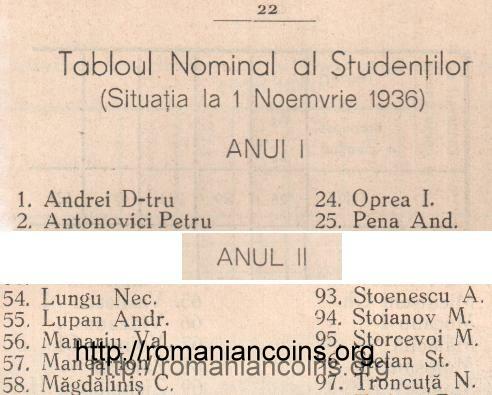 A Romanian from Transnistria, linguist Iosif Varticean bravely pointed, in 1951, inside report "Cu privire la tradiţie şi continuitate în limba moldovenească literară" [Regarding the Tradition and Continuity inside the Moldavian Literary Language] that: "In order to form a rich and lithe literary Moldavian language, a language of Moldavian socialist nation, the time long practice of the people and the fruitful practice of its best exponents in the person of the 19th century writers must be employed with resolve, taking into account the continuity between the Romanian and the Moldavian languages. All which is more valuable has to borrowed from one language and as well from the other" [1, p. 80]. At the first congress of the MSSR writers (1954), Anton Lupan, as president of Writers Union, showed that printing "our classic has a great meaning for the Moldavian Soviet culture", helping to develop literature, to "disentangle the most troublesome problems regarding the literary Moldavian language". Lupan denied the thesis according to which the current literature "had to rely not on the classical but on the folklore, that it has to be folk originated and etc." ... "Do we really have until this day a form higher and more overlybeautiful of our folk's language than in Luceafărul, Pe lîngă plopii fără soţ, Revedere, Călin, Scrisorile of Eminescu, than the Memories and the Stories of Creangă, than in Alexandru Lăpuşneanu of Negruzzi?" [1, p. 75-76]. Basarabian writers as Ion Vasilenco (Vasilencu) started to publicly state the identity of classics of the Romanian language and of the "Moldavian language". Inside a study dedicated to Alecu Russo and published at Chişinău in 1955, Vasilenco stated that "Alecu Russo has to be seen as a true founder of the contemporary Romanian and Moldavian literary language". Same Ion Vasilenco, in 1959, was frontally attacking the problem of literature and implicitly language identicalness inside review "Nistrul" of the Moldavian Writers Union, major Romanian writers being presented under the common name of "classics of the Moldo-Romanian literature" and straightly designated: Dimitrie Cantemir, Gheorghe Asachi, Constantin Stamati, Constantin Negruzzi, Alecu Russo, Mihail Kogălniceanu, Bogdan Petriceicu Haşdeu, Mihai Eminescu, Ion Creangă. In 1962, the Union wide review "Vaprosy literatury" [Literary Problems], Andrei Lupan defended the authentic cultural heritage, grammar and authentic literature by straightly stating that "The truth resides in that that, mainly, the classical heritage and the literary language, in the virtue of historical development, are common for the Romanian and Moldavian peoples" [1, p. 203]. In the same period, Academy member Andrei Lupan assessed the cultural progress by contrast to Stalinist period: "Until the correction of orthography and rehabilitation of the classics we were forced to isolate in an unimaginable rudimentariness" [1, p. 213]. Moreover, he propose the school program to include Mihail Sadoveanu, George Coşbuc and Ion Luca Caragiale as well: "Which Moldavian literate or, simply, reader can consider oneself a cult person without knowing these writers?". Other fighters for national identity inside occupied Basarabia, either more open or discrete in their acts, were literary critic Vasile Coroban, George Meniuc (editor in chief of Nistrul review), writer Nicolae Romanenco, writer Nicolai Costenco, literary critic Ramil Portnoi. 1. Cojocaru Gh. E., „Dezgheţul” lui N. Hruşciov şi problema BASARABIEI. Editura Cetatea de Scaun, Tîrgovişte, 2014.